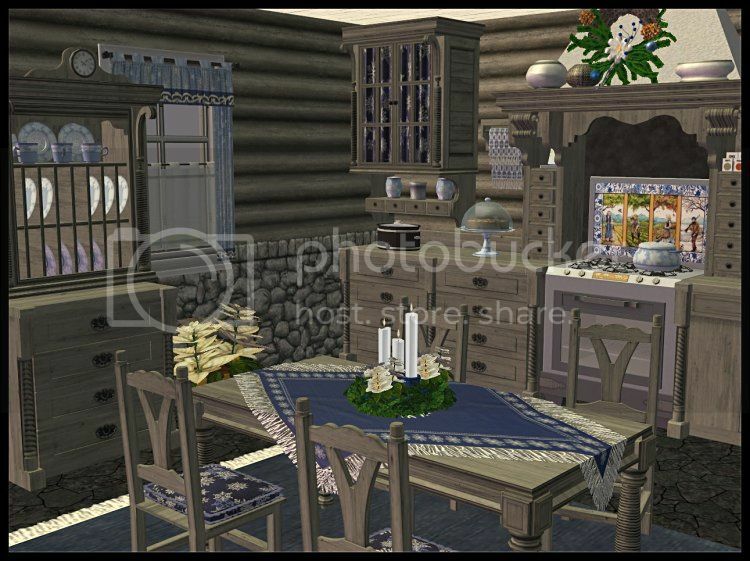 I also slaved VitaSims beautiful Cottage Kitchen wall shelves so that my downloads folder didn't have to have more files than necessary. The china cabinet is really the VS wall shelf 05 (not slaved) over a counter. All meshes are included in the 2016Thanksgiving folder- they are my working copies, so I've changed the file names where needed. The recolors will also work with the original meshes if you already have them. Once again I see you're up early! And giving beautiful gifts AGAIN!! I hope your Christmas is Merry and Bright!! THANK YOU!!! I do want to thank you. This is incredible. I am having a hard time getting all of the objects to appear in my game. I haven't been able to get anything from VitaSims or Amovitam to show up. Everything else is fine. Am I doing something wrong? Or missing something? Please help me. I have a strange issue - on my Win10 pc, my Sims 2 custom content in package files is seen as Sims 3, not 2. On my Win 7 machine, those files are read as Sims 2 files. Maybe you have a similiar issue? And I cannot figure out how to solve it. I honestly have no idea why this problem would be happening, so I don't know how to help. Amovitam's original post is here and VitaSims' is here (pay, often I heard it often doesn't work for US downloads) or here (booty). Maybe you could try downloading the meshes from there and it would help? 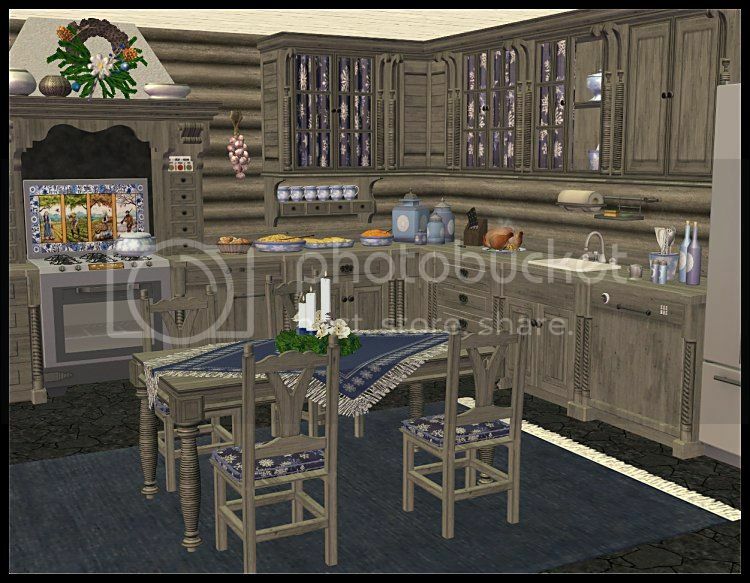 It would not allow you to use the slaved versions of the cabinets but maybe it would be an improvement if it works? I want to thank you repeatedly for adding links to download the meshes needed for me to be able to download your set. TY, I did somehow get Sims 2 package files to appear as files read by SimPe, and I think most of the files are showing up. That win10 machine is a new build, but the files came from a win7 machine. Those files never read right on that machine, either! And oddly enough, if I have rar files with Sims 2 package files in them, they show as Sims 3 files until I extract them!